Started my morning conversation with dad about trees. The man apparently has a long running history with trees, he cuts them down whenever he can. We had one completely dead pine tree and a beautiful maple that was half dead (though the “dead-ness” of the tree is still in debate) in yard of Nick and Aimie’s house. 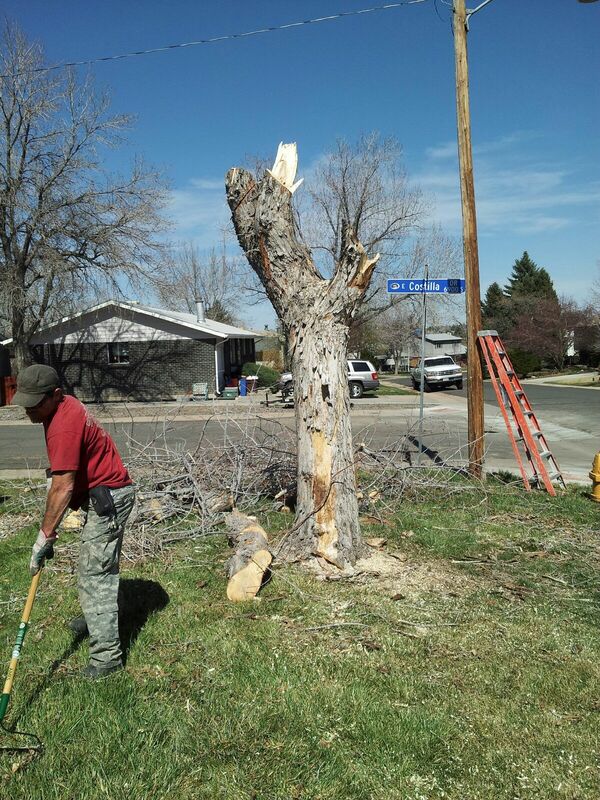 We sent a crew over to cut down the dead tree and to trim off the dead branches on the old maple. And now – the tree is completley gone. I had a decision to make – get really upset with him, or get over it. After a brief discussion of him telling me his reasoning behind cutting the entire tree down, I decided to just get over it.